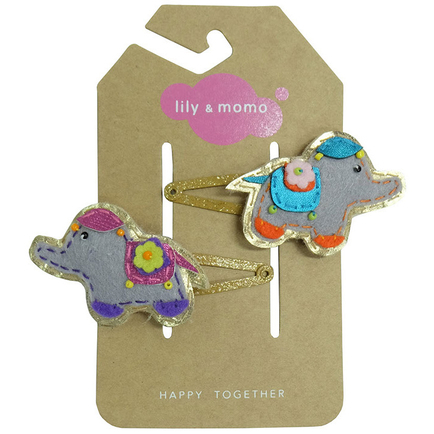 Adorable baby elephant hair clips adorned with flowers. Gold glitter snap hair clips. Approximate size :1.5" tall * 2.25" wide.